Times Square Hong Kong was one of Hong Kong’s first mega-malls and with 16 floors holding 230 shops,this shrine of shopping still dwarfs much of the competition. 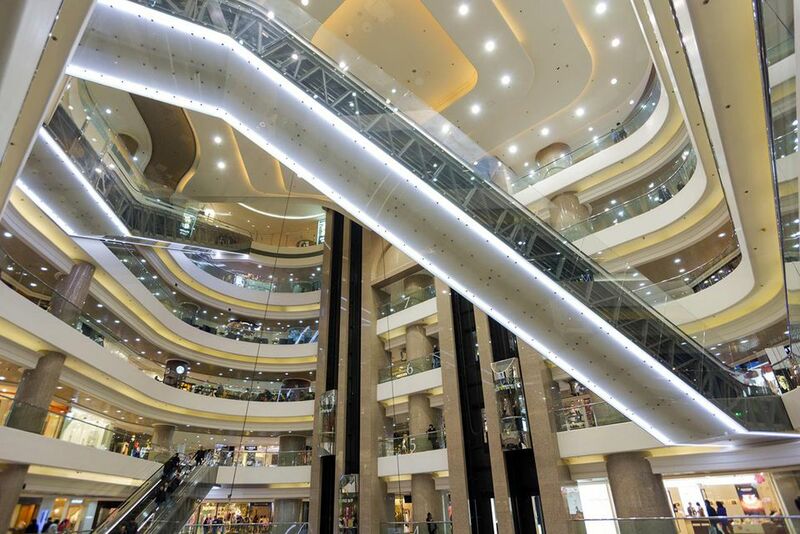 This is one of Hong Kong's top five shopping malls. The real draw here is that while most Hong Kong malls pitch their business at customers who own palaces and shop with gold bars, Hong Kong Times Square offers an excellent mix of mid-range stores aimed at the average shopper. The mall is also a winning mix of local Hong Kong brands, such as the Fortress electronics store or Lane Crawford department store, with major international brands, such as Marks and Spencers and Kookai present as well. The Kid's Square is especially popular with families. You'll find Kingkow, RagMart and Sketchers for Kids and more shops dedicated to children all grouped together. There is also a Metrokids book shop that stocks books about Hong Kong in English. Times Square has managed to attract some of the city’s big-name restaurants, and you won’t find a better mall in town for fine dining. The Fat Pig by Tom Aikens offers British inspired pork dishes fresh from their farm in the New Territories amidst an interior straight from the streets if London. Try the ham hock with mac and cheese or the sausage roll. For exceptional Cantonese cuisine head for Heichinrou. They've been serving the best in noodle and rice dishes at Times Square since 1994 and the loyal following of fans the restaurant has is testament to its quality. You'll need to book if you want to sit down at weekends. Aside from the fancy food there is also an excellent food court, which includes the inspirationally named ‘Curry in a Hurry’. The complex also includes a cinema. The mall is also in Hong Kong's shopping grand central. Causeway Bay is Hong Kong's most popular shopping district. That means thousands of shops, stalls and markets, but also crowds. Times Square can be very busy, especially in the evenings. No doubt inspired by its New York namesake, over time Times Square has also established itself as the place to welcome in the new year in Hong Kong. The mall is open seven days a week. Expect the biggest crowds from 6pm - 9pm. Super Star Seafood, Shark’s Fin City Restaurant (although you shouldn’t eat Shark Fin Soup), Ariang Korean Cuisine, Shanghai Min, Sen-ryo and Yun Yan. Times Square is in Causeway Bay and the MTR station connects directly to the mall. Causeway Bay is on the Hong Kong Island Line. You can also reach Causeway Bay by tram - which runs across the legnth of the north Hong Kong Island waterfront.